For campers who would prefer sleeping above ground level, Roofnest has a number of solutions. 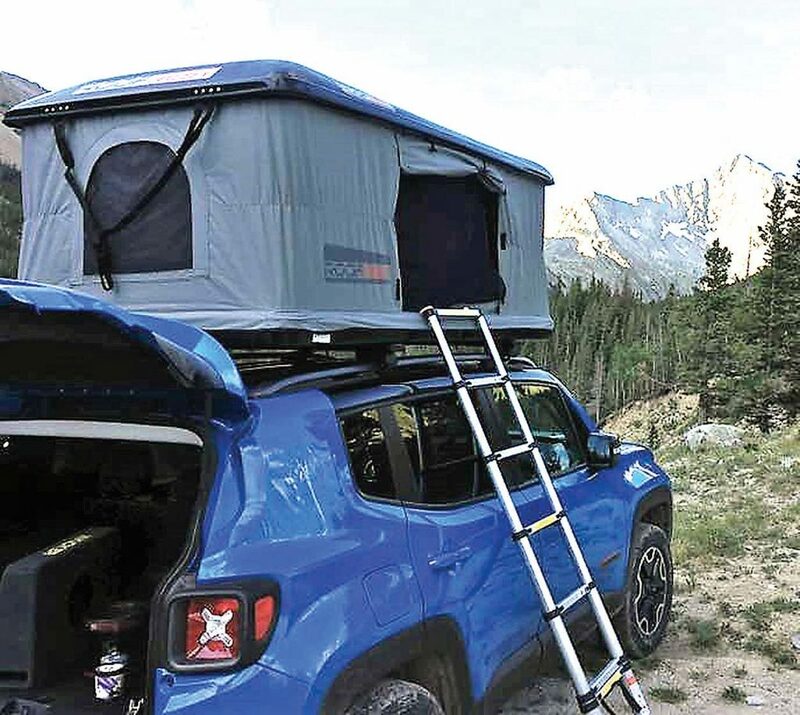 For example, the Sparrow pop-up hard-shell tent attaches to the roofs of most small and midsize utility vehicles and station wagons. And its 80-inch length, 53-inch width and 37-inch height (when opened) means it will comfortably sleep two adults. When closed, the low-profile 115-pound Sparrow’s profile is a mere 10.5 inches tall, so there’s minimal wind resistance. Order yours in black or white for $2,300, including telescoping ladder, mattress and mounting hardware. The company sells other smaller and larger tent styles at www.roofnest.com.